CHECHESMITHNATION : Mrs Demuren Rocks-out In Cute Embroidered Dress! 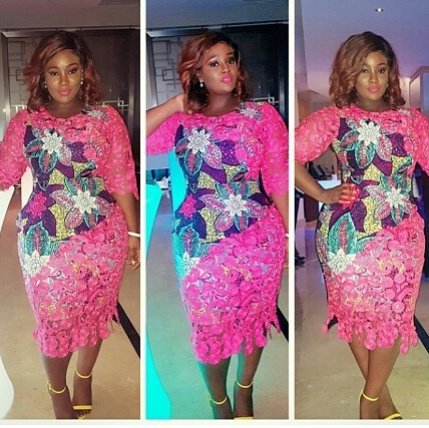 Toolz was spotted at a wedding rocking this pink lace dress with colorful embroidery by Maki Oba Official. 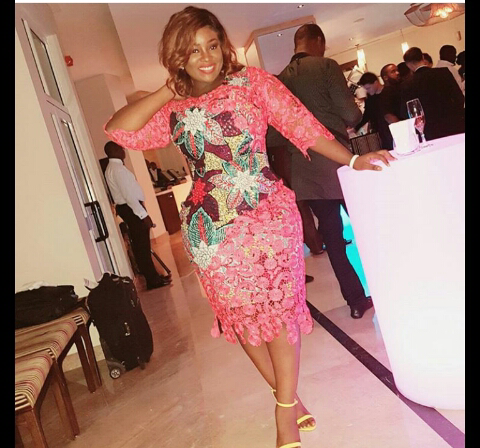 The Radio personality paired her look with single strap yellow heeled sandals.